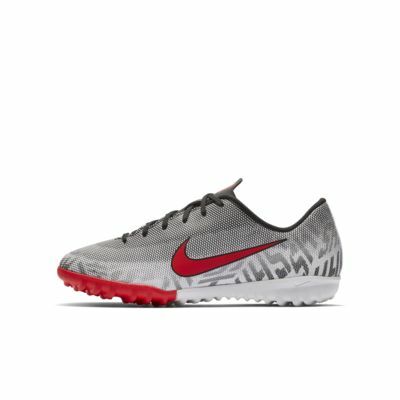 The Nike Jr. Mercurial Vapor XII Academy Neymar Jr. Younger/Older Kids' Artificial-Turf Football Shoe wraps your foot for a second-skin fit straight out of the box. The details celebrate the legendary sense of flow, beauty and rhythm in the Brazilian style of play that Neymar embodies. 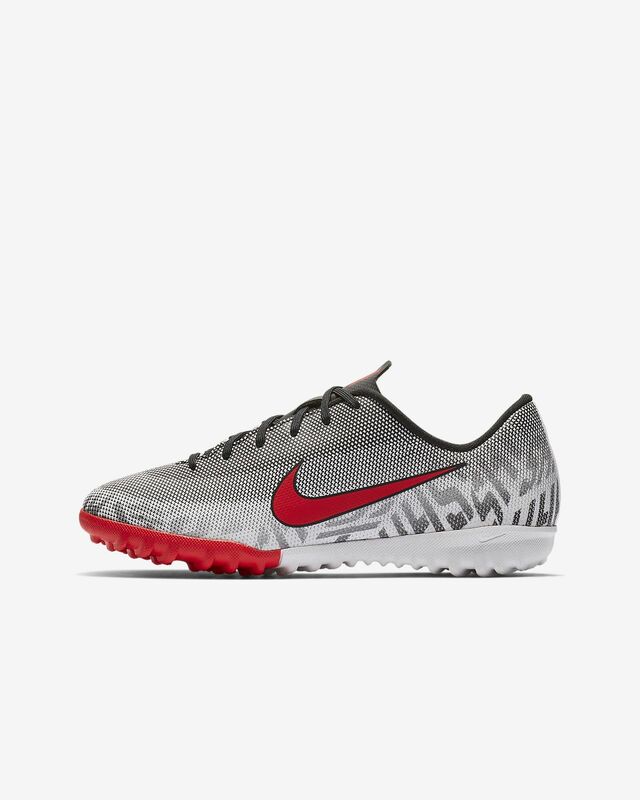 The Nike Jr. Mercurial Vapor XII Academy Neymar Jr. Younger/Older Kids&apos; Artificial-Turf Football Shoe wraps your foot for a second-skin fit straight out of the box. The details celebrate the legendary sense of flow, beauty and rhythm in the Brazilian style of play that Neymar embodies. Non-marking rubber outsole provides traction on artificial-turf surfaces. Have your say. Be the first to review the Nike Jr. Mercurial Vapor XII Academy Neymar Jr. TF.